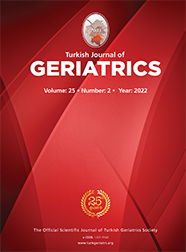 5Etlik İhtisas Eğitim Araştırma Hastanesi Kardiyoloji ANKARA Introduction: This study aimed to investigate the effects of selective spinal anesthesia and general anesthesia on myocardial ischemia in geriatric patients undergoing brief transurethral surgery. Materials ve Method: Fifty-four ASA II-III geriatric cases (>65years old) undergoing shortterm transurethral intervention were enrolled following the approval of the local ethical committee and written informed consents from each patient were obtained. The patients were randomized into two groups Group GA; general anesthesia and Group SSA; selective spinal anesthesia. In Group GA propofol and remifentanil were administered for anesthesia induction and a laryngeal mask was inserted. For anesthesia maintenance desflurane was used. In Group SSA selective spinal anesthesia was performed via L4-5 intervertebral space using bupivacaine 5 mg. ECG, systolic, diastolic and mean arterial http://tureng.com/search/bas%c4%b1n%c3%a7pressure, heart rate, and peripheral arterial oxygen saturation (SPO2 )values were recorded before induction and at 1, 3, 5, 10, 15, 20, 30, 40. minutes intraoperatively. In both groups blood samples were analyzed for CK-MB and troponin I preoperatively and postoperatively at 8. and 24. hours. All patients were monitorized with 24-hour holter ECG perioperatively. Results: In both groups CK-MB and troponin I levels did not increase, indicating absence of myocardial injury. Holter monitorization detected equivalent ST segmental changes in both groups.